German Shepherd is an active dog breed that’s highly athletic, intelligent and considerably easy to train. Keeping a German Shepherd is less strenuous as it is a close friend that will mostly lounge around the house. However, it is important to choose the best foods for German Shepherds that offer a balanced diet and the required nutrients. If you are looking for the best food for your German Shepherd dog, then you are in the right place. The following review and buying guide features a list of the top-rated foods. What Are Nutritional Requirements Of The Best Foods For German Shepherd Dogs? Taste of the Wild is arguably one of the most popular dog foods. This is our best choice due to its excellent quality, high-calorie content and relatively affordable price. This dog food contains a great macronutrient composition that offers your German Shepherd enough fat, carbohydrates and protein levels that it requires. Some of the other ingredients include lamb meal, chicken meal, peas, sweet potatoes, egg product, roasted venison, beef, ocean fish, and much more. Sweet potatoes and Peas offer a highly digestible energy for your active dog. Besides, you do not have to worry about your dog suffering from allergies, as the food is grain–free. Taste of the Wild food also features real roasted meat formula that provides unmatched taste sensation. This includes vegetable and fruits supplements, which offer antioxidants to ensure a healthy lifestyle for your dog. Merrick Classic Adult Real Beef dry dog food is our runners-up pick for the best foods for German Shepherds. It has 35% protein, which is one of the highest among the dog food products available in the market. The protein content is from pork meal and deboned beef, which are indeed rich sources. Besides, the dog ﻿﻿food has relatively lower amounts of carbohydrates of 35% and considerably higher fat percentage of 30%. It’s a perfect pick as primary macronutrients in the diet of German Shepherd are protein, fats, and carbohydrates. The source of carbohydrates in Merrick dog food is high-quality ingredients like brown rice, peas, barley, blueberries, and apples. However, there have been cases of digestive problems in some dogs, especially the ones with sensitive system of digestion. This is because Merrick dog food contains brown rice on its ingredient list. Therefore, it is advisable to consider an alternative if your dog has a sensitive digestive system that reacts negatively to rice. Blue Buffalo Basics Limited-ingredient dog food offers you an affordable alternative for the best foods for German Shepherd. This is a grain-free dog food with limited ingredients, which reduce the chances of triggering allergies. 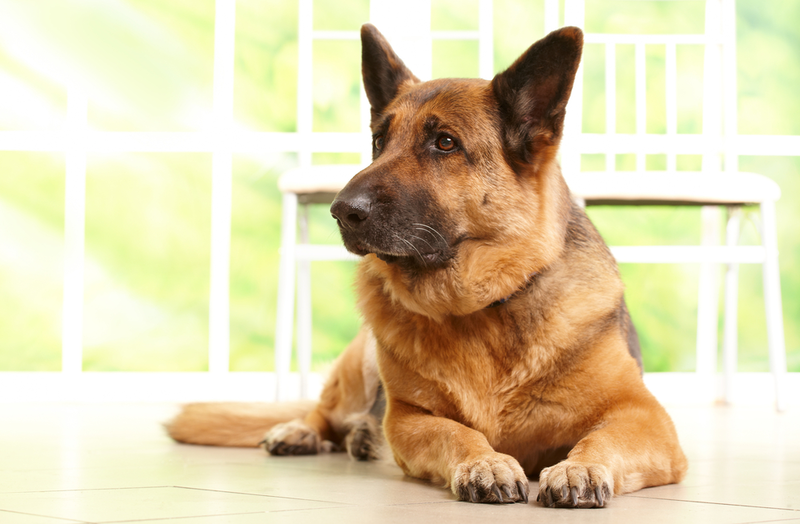 Therefore, it is ideal for German shepherds as they are prone to food sensitivities and allergies. The product ingredients consist of deboned lamb as the only source of protein, omega 3 and Omega 6 fatty acids and healthy life sources. Protein is included to help in supporting the lean muscles of your dog to ensure that it gains the desired weight. Moreover, the fatty acids formula promotes a healthy coat, skin, and act as antioxidants that improve the immune system. Finally, the Life Source formula bits provide particular vitamins, antioxidants, and minerals for complete nutrition as well as oxidative balance. Besides, the recipe features chondroitin and glucosamine that contains calcium and phosphorus for healthy teeth and bones. This high-quality kibble is made with unique nutritional requirements ideal for large dog breeds. Fromm foods formula is grain-free and contains high protein contents from pork meat, beef, and dried eggs. This makes it the best quality dog food, which you should consider if you are not tight on your budget. 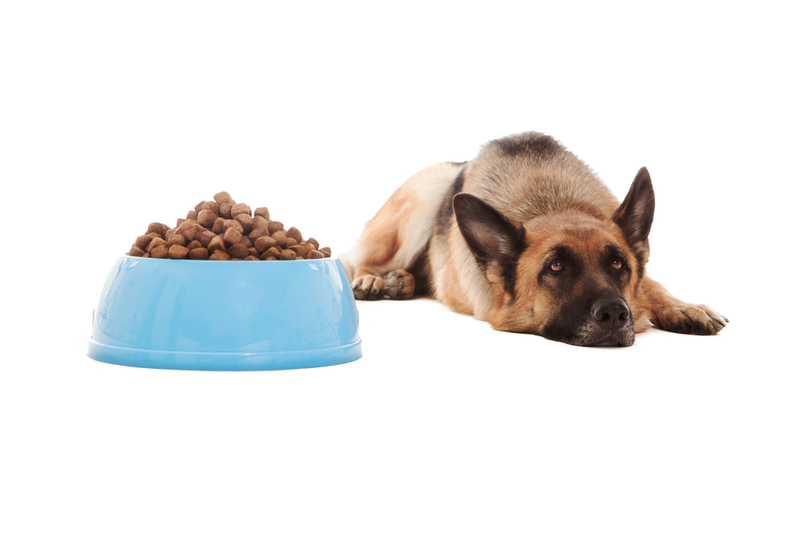 The source of carbohydrates in this dog food is low-glycemic legumes such as lentils, chickpeas and green peas. These ingredients make this dog recipe highly digestible, which helps in curbing stomach upsets in dogs. The 24 % of protein and 12% carbohydrates provide a healthy balance of nutrients that is ideal for large breeds of dogs without resulting in excess calorie content. Finally, this dog food contains health supplements that include taurine, probiotics, and flaxseed as well as natural flavors. Wellness Large Breed Complete Health Formula is another top kibble that meets the nutritional requirements of larger dogs. This makes it an ideal pick as one of the best foods for German Shepherds. Wellness Complete Health is designed with ingredients that ensure good health and offers an optimal nutrient balance. 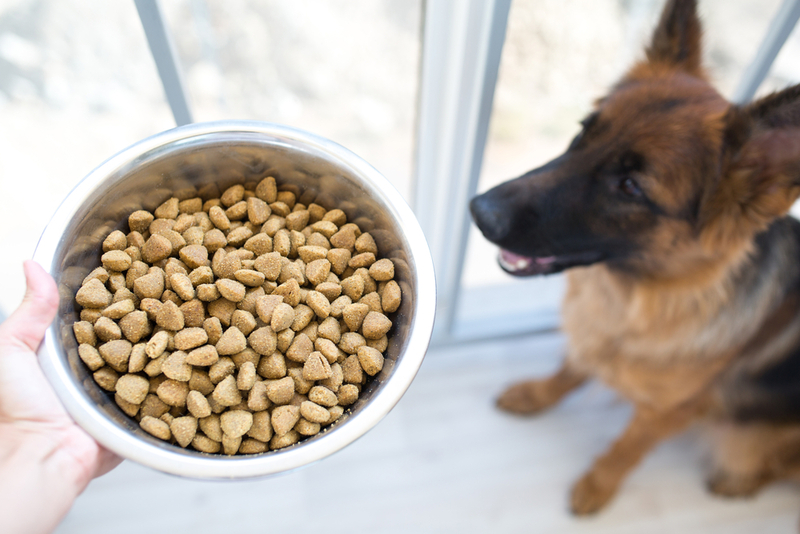 The dog food formula is made with more than four meat based and excellent quality protein sources that are designed to benefit your German Shepherd dog. Besides, the diet contains glucosamine and chondroitin, which can improve the strength of bones and joints. Wellness Complete allows optimal absorption of nutrients, joint and digestive health with natural ingredients. 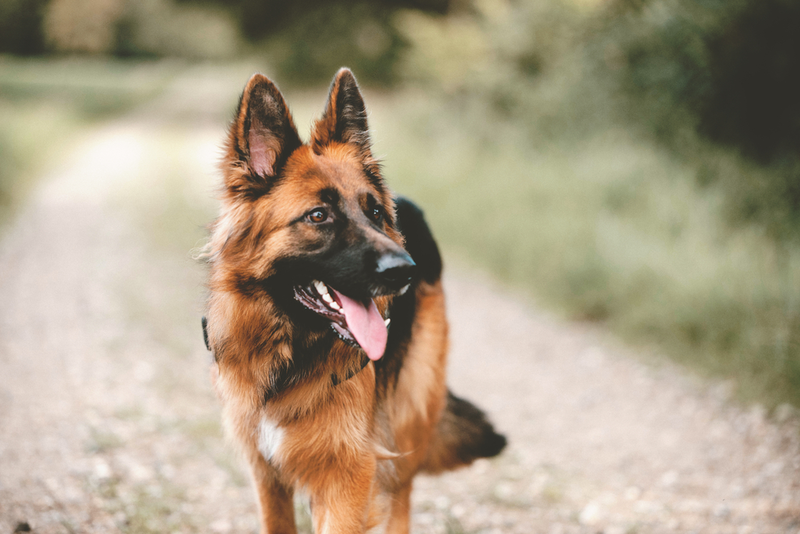 Using dog foods with chondroitin and glucosamine is important for German Shepherd as they mostly experience hip and elbow arthritis and dysplasia. Therefore, this kibble can significantly help in minimizing these side effects of bone and joint health problems. Holistic Select Dry Dog Food is our pick as the best product kibble for large breed puppies like German Shepherd. This food features a formula that is designed to meet the nutritional requirements of large breed puppies during their growth stage. The primary source of protein in this food is lamb meal, which is combined with digestible carbohydrates supplements such as white rice, brown rice, and oatmeal. Besides, Holistic Select contains high levels of Omega fatty acids such as DHA to ensure a healthy eye and brain development in your German Shepherd puppies. The dog food is also rich in a unique system that supports digestion health like digestive enzymes, probiotics, and healthy fibers. Moreover, the formula contains essential fatty acids for coat and skin health. Therefore, this dog food contains all that your German Shepherd puppy needs for healthy growth and development. Nutro Wholeness is one more quality dog food to consider, especially if your German Shepherd puppy is prone to food sensitivities and allergies. The dog kibble is a limited-ingredient food that is made with New Zealand and Australian lamb as the primary source of protein. This explains why the dog food can boost a healthy growth of your puppy successfully without triggering food allergies. Apart from the rich-content proteins and great natural flavors, it contains high levels of omega-3 fatty acids to ensure a healthy skin and coat. Besides, Nutro wholeness d﻿ry do﻿g food contains essential antioxidants to boost the immune support. Finally, the product’s formula also contains chondroitin and glucosamine to offer great support to the bones and joints for your puppy. With German Shepherd being one of the most popular active breeds, they have a special dietary requirement that needs to be met. These dogs are used in enforcing the law because of their large size, loyalty, and intelligence, which makes them easy to train. Besides, the large size means that these dogs need a different diet that separates them from smaller size dogs. The muscular, large, working and athletic body of German Shepherd dogs make their diets arguably the most demanding than other dog breeds. In most cases, the breed will weigh about 60-80 lbs or even 90 lbs sometimes. The female German Shepherds tend to weigh less than their male counterparts who tend weigh on the upper side of this spectrum. With the issue about their weight being said, it is important to mind the kind of food that you buy. The diet should prevent a situation where your dog will have to sit around all the time because of being overweight. Choosing the best food for the dog ensures that your dog has leaner muscle mass as well as healthy physique, which is vital for this active breed. A German Shepherd dog will need about 1,600 to 2,100 calories per day. However, you should not worry about the numbers, as these figures are just rough estimates. The actual amount of calories for your German Shepherd dog per day could be much more or less of the given estimation. The number of calories required by your dog depends on several factors that include age, metabolism levels, and energy expenditure. Besides, physical injuries also determine the perfect number of calories that your German Shepherd dog needs per day. It is important to consult your veterinarian in determining the caloric needs and nutritional requirements of your dog. Finally, German Shepherd dogs have a greater risk of suffering from arthritis and Hip Dysplasia as compared to other dog breeds. Therefore, the best food to choose should be one that has the right nutritional requirements for a healthy and injury-free dog. This explains why the number of calories of an active German Shepherd dog per a day should be higher than the less active one. Protein is one of the most important essential macronutrients for German Shepherd diet just like other dog breeds. The macronutrient is even more important for large breed dogs that are more active and muscular like these dogs. A German Shepherd dog requires a diet with around 18% protein, while a puppy needs a diet that consists about 22% of protein. However, it is important to understand that proteins are created from different sources. 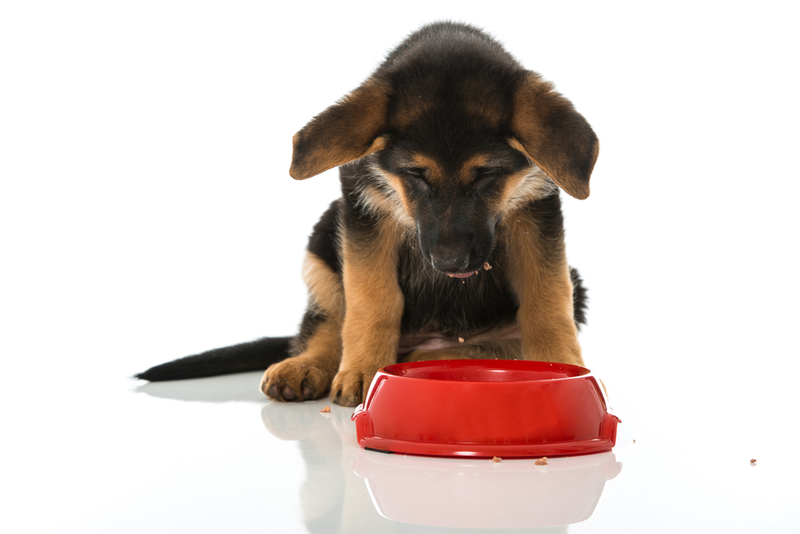 Some dog kibbles consist of proteins from low-quality sources like some meat sources and meat by-products. 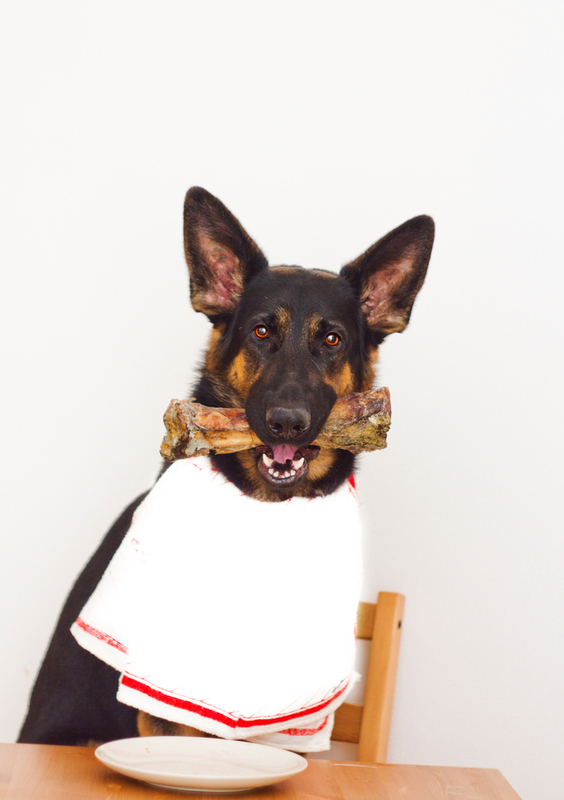 The best diet to feed your German Shepherd dog should contain high-quality protein sources. These include whole meats sources like chicken, lamb, and beef. However, fish is not good for German Shepherds although most veterinarians recommend feeding other breeds with foods that contain prominent fish sources. Fat is the second most important macronutrient for German Shepherd diet after proteins. This is because fat boosts their energy levels as well as improving the condition of their coats. On average, an adult German Shepherd dog requires a diet that consists of about 5% fat levels, while a puppy needs a diet with about 8% fat levels for better growth. The best sources of fat for your German Shepherd dog that are very common include animal fat, vegetable oil, and flaxseed. The sources will give your dog all the necessary fatty acids like Omega-3 and Omega-6 fatty acids. This leads to improve the energy levels and maintains the skin and coat quality of your dog. Just like in the case of proteins, it is important to ignore fats from fish oil. This is because fats from fish oil could be harmful to your German Shepherd. However, fish oil is a great source of essential fatty acids that suit other dog breeds, but not this large breed. Finally, carbohydrates are the last nutritional requirements in the diet of German Shepherds. These macronutrients are the least important in dogs but needed to a certain degree. The protein appears to be the major macronutrient for German Shepherds because it is needed in maintaining their large size and muscular body. However, carbohydrates are also important in their diet because of the high level of activities. Common carbohydrate sources for German Shepherds are slow-burning and complex carbohydrates like vegetables and fruits. For instance, when choosing the best food for your large breed dog, you should look for ingredients like oatmeal, carrots, sweet potatoes and green beans. This is one of the most common problems for large working dog breeds like German Shepherds. The problem can be solved to some extent by choosing a proper diet for your dog, but not completely. Managing this health issue requires you to choose a diet that contains chondroitin and glucosamine. These two help in promoting cartilage and joint health in your dog, which reduces the risk of suffering from arthritis. Unjustified weight loss is another common health problem for this breed. This is because most German Shepherds are born with a shorter colon as compared to other kinds. The condition makes it harder for them to absorb all the nutrients and minerals contained in a great quality dog food or the diet that you are giving them. 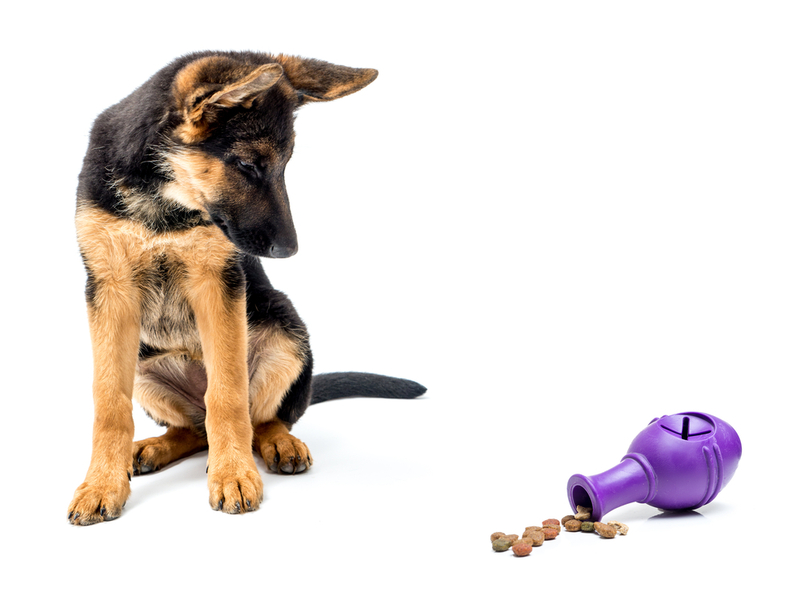 This problem can eventually result in unjustified weight loss, with your German Shepherd dog losing pounds regardless of what you are feeding them. However, it is important to consult a veterinarian if you notice an unexpected drop in weight. The vet will carry out some tests to determine that whether your dog is suffering from serious health problems. According to the results of the tests, the doctor will advise you on the right diet to feed your German Shepherd dog. This could be a diet with low fiber and fat or highly digestible carbohydrates. Bloat is a common and a serious problem to many dogs, which could be very dangerous sometimes. Some of the leading causes of bloating in dogs include overeating, eating too fast or engaging in an extensive physical activity after eating. The problem can be managed by ensuring that you feed your dog with multiple small meals rather than giving the dog a huge meal. Besides, the dog should take between 30-60 minutes before engaging in physical activity after a meal. Weight gain is not a major health issue, but for large dog breeds like German Shepherd, it may be a serious matter. Besides, excessive weight gain goes hand in hand with the other main health problems like Hip Dysplasia and pancreatitis. However, this is a problem that can be solved by choosing the right diet for your dog. Choosing the best foods for your German Shepherds can be very challenging because of the many options available in the market today. However, the process becomes much easy if you do enough research on the basic nutritional needs of particular dog breeds. This helps in narrowing down on the best foods for German Shepherds that ensure healthy growth and development. If you are looking for the best foods for German Shepherds, I would recommend that you start with the first pick in the review above. Taste of Wild, Canine Formula offers the best quality, basic nutritional requirements at a very affordable price. However, it is advisable to be cautious and patient when adjusting to a new dog food to avoid food sensitivities.